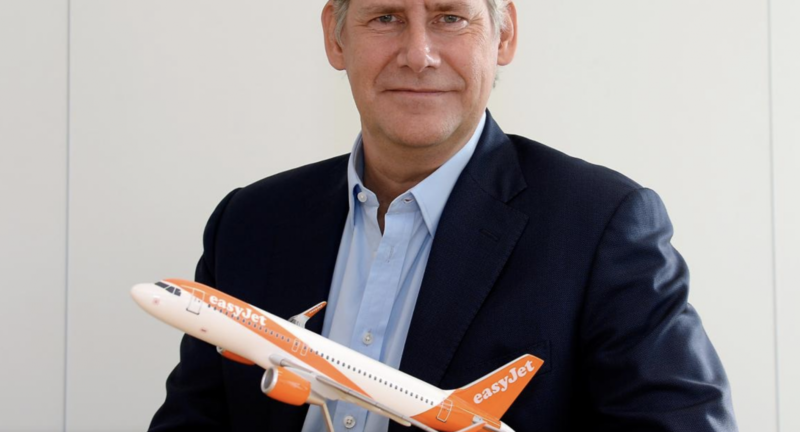 There will be more consolidation and possible failures in the airline sector, easyJet boss Johan Lundgren has warned. He said a rise in fuel prices would put some weaker European airlines at risk. "There is going to be further consolidation and higher fuel prices will put some of the weaker players in a more difficult situation," he said, while being interviewed at this week's ABTA Travel Convention in Seville. He said there was no point speculating on which airlines were at risk, but added: "If you are exposed to fuel in the way that you haven't hedged, you have a weakness in your model, you don't have financial strength, and you don't offer a product and service that consumers are willing to pay for, then I think you should be worried." He said easyJet is the second largest airline in Europe but still only has 10% market share. "There is plenty of room to grow and that could be organically, without mergers or acquisitions," added Lundgren. He said easyJet's deal to buy assets of Air Berlin was the current focus of the airline. EasyJet is working on a restructure of the troubled German airline, which was the same size as failed airline Monarch. Lundgren said there would be changes to the Air Berlin schedules next summer to make the operation more efficient. Meanwhile, easyJet has expressed its interest in buying struggling airline Alitalia and is in talks with the Italian Government. Asked by ITV broadcaster Chris Ship about his relationship with easyJet founder Stelios Haji-Ioannou, who is still a key shareholder in the airline, Lundgren simply said it was 'constructive'.